1. What are challenges when working with a relocation client? When they have a house to sell in another state. Researching to find the best Realtor to fit their needs where they live to get the house sold fast. Clients that will need to work on their credit scores to qualify for a loan. Clients that do not have computers or are not Internet savvy. Special needs or handicap access properties. 2. How can working with a Realtor make the process easier? Relocation specialist what does that mean? Extra training? What kind? What kind of tools? Realtors are a "specialist" because they spend their time reviewing, touring and selling homes. Why wouldn't you want the advice of someone that does this work for a living? Its hard work and we are licensed to do this. A "relocation specialist" is a Realtor that is a residential troubleshooter paired with complete knowledge of the area the client is moving to plus ability to connect all the components for a smooth transition to a new home. Extra training comes from experience with each new client. They all are different. Sure...there are some formal cookie cutter classes but you have to think outside the box, be quick on your feet and be creative depending on what the client will require. I train everyday by researching on www.Activerian.com. That's where the best of the best in the real estate business (over 144,206 professionals) train others with amazing ideas and specialized knowledge of their area of expertise. It's better than any class I have ever attended and the technology they teach to work with clients is cutting edge. It's like I never leave class! My unique one of a kind Lizette Realty Facebook page It's full of links to new listings, what has sold in the past week, local events, homeowner and home seller tips, and more. It changes every day. Clients can even search posts archived on line if they want to go back to find something they read about. One of the best search new engine websites available in the USA called www.servingthelexingtonarea.com. I just launched this simplified website for Lizette Realty that gives the client all the tools to see new homes fresh on the market. Clients can create their own listing alerts that will arrive in their email daily or weekly, save listings to view again or tour, use Google maps to see a 360 view of a house(even a street view!) and connect with me there immediately(a text lets me know on my phone). My Lizette Realty website is www.lizette.us that is full of reports, useful links and all the inside information to make the relocation a smooth one. It might be the one stop website to connect to all my other blogs, newsletter and social media. www.localism.comThe world's most complete neighborpedia is a place I contribute to constantly with reviews, posts and photography. Clients can research local areas and read stories about the community and neighborhood they are interested in. 3. How has the Internet made it easier for you? The Internet is EVERYTHING! 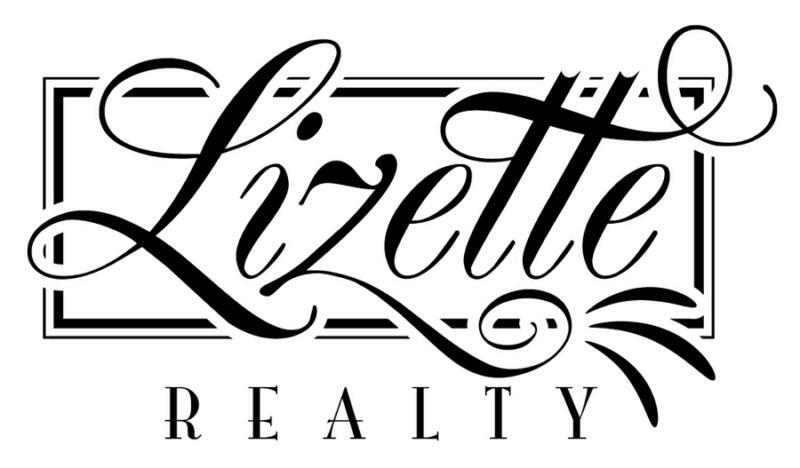 My real estate brokerage of Lizette Realty revolves around the computer. Clients these days do most of their own research before connecting with me. They know what they want more information on and what they want to tour in many cases. It weeds out many homes that we won't have to see. I use Skype to call clients and agents then also teleconference through my computer, all faxing I do is through www.fax.com and incoming faxes are sent to my email, social media like Facebook, Twitter, Linkedin connect me for referrals and new information. My online blogs www.activerain.com/blogs/ky and www.lizettefitzpatrick.comare my unique way to share my ideas, local photography and what I find fun about Kentucky to everyone. I also write a new Madison County blog for The Herald Leader on www.kentucky.com/communities called the Madison County Muse. 4. What are some of the main factors that draw people to Central Kentucky? Jobs transfers, colleges (UK, Transylvania, Midway and EKU) retirement and the beauty of the Central Kentucky area. They are drawn to the genuine kindness of locals they meet here. The scenic lushness of the horse farms plank fencing, creeks and stone walls are like no other area in the world. 5. What are some of the "must tell" tips you give newcomers? Learn about the lifestyle of the community you want to live in. Stop in businesses and talk with the locals (they will have their finger on the pulse of the neighborhood and community). Drive around areas you are thinking of living at different hours and look at past issues of the local newspaper. Make several scouting trips and do different things each time. Be friendly and you will find that the locals here will all be open and willing to help you with everything! 6. What are some Bluegrass biggest selling features? Best amenities? More house (square footage) for the money(Compared to other areas of the nation.) We are still doing well with home sales and less days on the market. One unique feature we have in Central Kentucky is that most homes are brick or stone. Larger yards and more acreage are available. The Kentucky topography is great to have a walk-out basement under the homes. Now many of our builders are building "Green" homes that are more energy efficient. The best amenity might be that it is so beautiful here with the creeks, horse farms and green lushness of vegetation. 7. Do you give new residents a list of essentials? Utilities, where to shop, get a driver's license, etc. I give my new clients a welcome packet that is specially designed for what they are interested in. I spend time getting to know them by phone and ask about their interests before sending out my relocation packet. I want them to know that I listen and will be in tune with their every need before they make a decision to come here. New residents receive this information long before they move in. #1 featured Kentucky Realtor on Activerain.com and Localism.com for local real estate listings and sold properties, Kentucky relocation, local events, homeowner information! Celebrity Apprentice and Lifelock… A Winning Combination! What Do Lucky Numbers Have To Do With Buying A Home?